As published in Health Care Compliance Association’s magazine Compliance Today, August 2015. HIPAA has expanded liability for business associates and their subcontractors. Law firms are business associates and subcontractors to many covered-entity clients. In these roles, law firms may now be held directly liable for HIPAA compliance failures. HIPAA obligations may conflict with a law firm’s duties to its clients. 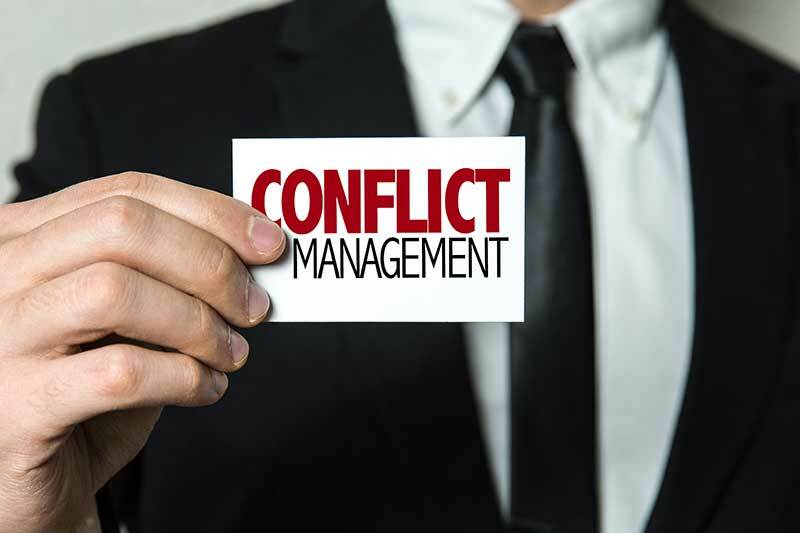 Because of these conflicts, a “standard” business associate agreement may not suffice. With the passage of the Health Information Technology for Economic and Clinical Health Act (HITECH) in 2009 and the January 17, 2013 publishing of final rules (the Omnibus Rule) implementing HITECH, the U.S. Department of Health and Human Services (HHS) Office for Civil Rights (OCR) has expanded the applicability of the Health Insurance Portability & Accountability Act of 1996 (HIPAA) Privacy and Security Rules to business associates and their subcontractors. The Omnibus Rule expands the definition of business associate to include subcontractors that create, receive, maintain, or transmit protected health information (PHI) on behalf of the business associate.1 Consequently, a subcontractor of a business associate also can be a business associate and is subject to the HIPAA Privacy and Security Rules, even if the business associate is not a covered entity under HIPAA. Law firms often serve as business associ­ates to many of their clients who are covered entities and as subcontractors to clients who are business associates of covered entities. Consequently, as business associates or sub­contractors of business associates, law firms may be held directly liable for their failure to comply with the HIPA A Privacy and Security Rules. Consequently, law firms should execute Business Associate Agreements (BAAs) with their subcontractors who create, receive, main­tain, or transmit PHI to ensure that these subcontractors are aware and agree to comply with the Privacy and Security Rules. Moreover, law firms should identify whether they are subject to the Privacy and Security Rules as sub­contractors of business associates by instituting procedures that would assess whether their cli­ents are business associates of covered entities. The covered entity (CE) shall determine whether the business associate (BA) or CE will be responsible for providing noti­fication of any “breach” (as specified in 45 C.F.R. § 164.410(c)) to affected individuals, the media, the HHS Secretary, and/or any other parties required to be notified under the HIPAA regulations or other applicable law. If CE determines that BA will be respon­sible for providing such notification, BA may not carry out notification without receipt of a written directive to do so from CE. Except as otherwise provided in this Agreement, noth­ing in this Agreement shall be construed as abrogating, or as a waiver by BA of, applicable privilege or other legal protections that may be asserted by CE. If CE fails or refuses to provide notification of a breach as required by 45 C.F.R. § 164.410 and directs BA not to provide notification of such breach, the CE shall have the obligation to defend any legal action that occurs as a result of such directive and to indemnify and hold the BA harmless from any costs, losses, damages, fines, penalties, and other assessments against the BA arising out of or relating to such directive. Similarly, business associates are required to make available their “internal practices, books, and records relating to the use and disclosure of PHI” on behalf of a covered entity client to the HHS Secretary to determine the covered entity’s (and now the business associate’s) compliance with HIPAA. Such a disclosure could expose information of the covered entity protected by the principles of attorney-client confidentiality enshrined in Rule 1.6 to the government and could even create a situation in which the law firm as a business associate could be required to furnish inculpa­tory information on its covered entity client. BA will promptly notify CE when it receives a request, made on behalf of the HHS Secretary pursuant to 45 CF.R. § 160.310, that BA make available its internal practices, books, and records relating to the use and disclosure of protected health information (PHI) to the Secretary for purposes of determining BA’s or CE’s compliance with the HIPAA regula­tions. Upon BA’s receipt of a written directive to do so from CE, BA will make its internal practices, books, and records relating to the use and disclosure of PHI available to the Secretary for such purposes. Except as pro­vided in this subsection C.6., nothing in this Agreement shall be construed as abrogating, or as a waiver by BA of, applicable privilege or other legal protections that may be asserted by CE or any other CE of BA in response to such a request by the HHS Secretary. H CE directs BA not to make its internal practices, books, and records relating to the use and disclosure of PHI available to the HHS Secretary pursu­ant to a request from the Secretary, CE shall have the obligation to defend any legal action that occurs as a result of such directive and to indemnify and hold harmless BA from any costs, losses, damages, fines, penalties, and other assessments against BA arising out of or relating to such directive. The HIPAA Privacy and Security Rules have created an environment in which attorneys can be adverse to their own clients when defining their roles as a covered entity and business associate. Understanding the attor­ney’s existing obligations to the client under the attorney-client privilege may help avoid a conflict when it comes time to execute a busi­ness associate agreement. Barry S. Herrin, JD, FAHIMA, FACHE, is the founder of Herrin Health Law, P.C., in Atlanta, Ga. Herrin offers more than 25 years of experience practicing law in the areas of healthcare and hospital law and policy, privacy law and health information management, among other healthcare-specific practice areas. He is a Fellow of the American College of Healthcare Executives and a Fellow of the American Health Information Management Association. He also holds a Certificate in Cyber Security from the Georgia Institute of Technology. American Bar Association: Rule 1.8 Conflict of Interest: Current Clients: Specific Rules.